We all know the images and the movies but how many of us have really read the book? Believe it or not, Alice is a great book to read with your fourth and fifth graders!! They love the fanciful text and the imagery. 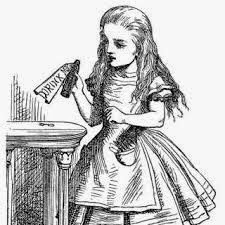 Alice was first published in 1865 and most found the novel to be utter nonsense. The critics hated it. However, the illustrations provided by John Tenniel garnered praise. Over time, people have come to appreciate it for it's logic play and is considered a prime example of the literary nonsense genre. Today it is a classic. Personally I've always loved the book and when a colleague suggested I decorate my classroom with Alice, I was intrigued. 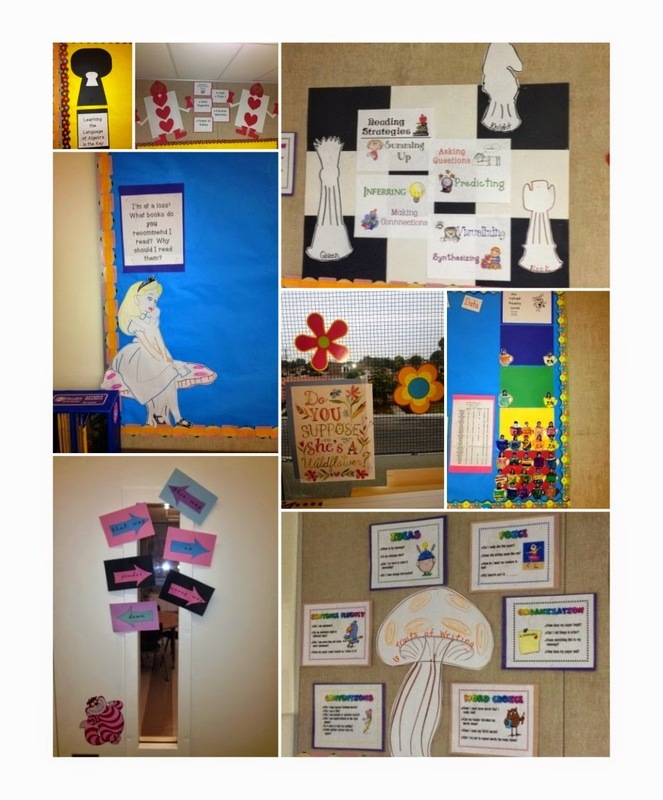 Here are some images from my classroom. Of course I wanted to read the novel aloud to my students but I wanted to go even deeper. I decided to create a close reading guide so that we could go deeper with the literature. · What is the author telling me here? · Are there any hard or important words? · What does the author want me to understand? · How does the author play with language to add to meaning? Students observe facts and details about the text. Students may notice language or structural elements. 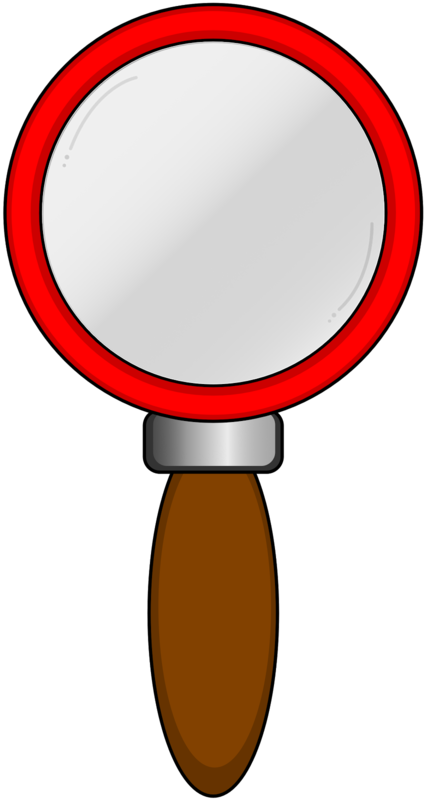 Beyond the observation, students need to highlight, underline, code and circle important text. Then they annotate their own thinking in the margin, supporting it with text evidence. When students conduct close readings, they need to use higher order thinking skills and have thoughtful deep discussions of the text. Students develop a deep understanding of the text for themselves. A third reading is where students connect to other texts and provide critical analysis of quality or value to society. This 45 page close reading guide has an outline of the components of authentic literacy and what it looks like in the classroom. I formatted the guide as follows. There are possible focus questions for each and every chapter as the story progresses. It also includes explicit gradual release of responsibility formatted lessons sprinkled throughout. I included a close reading sheet for each of the explicit lessons. 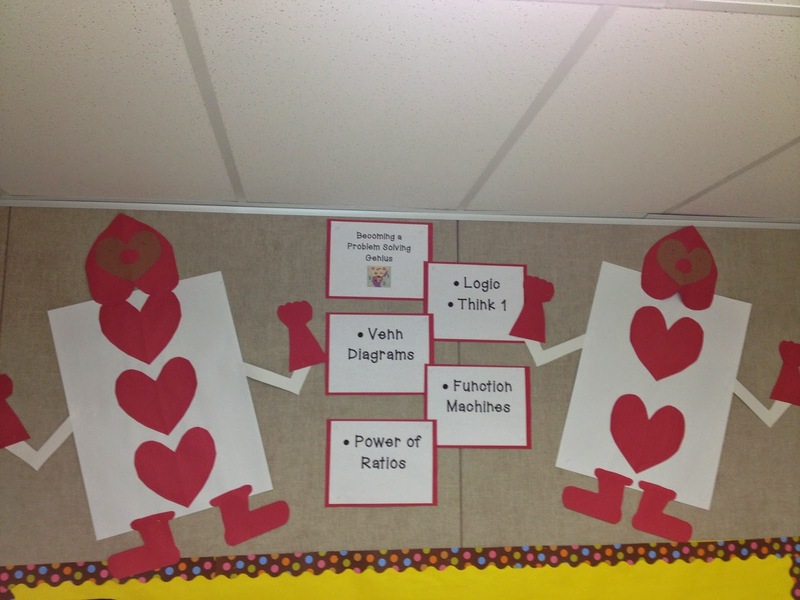 I also included the common core standards. At the end, there is a blank sheet for planning and to use with close reading of different chapters as well as a rubric for scoring the close reading. This isn't a bunch of worksheets as I don't teach that way. This is for going deep with the literature! Stay up to date with me! Be sure to follow my blog, store and Facebook Page for notification of new products and Freebies.